I had, or perhaps still have, a process to create empathy. Growing up as I child, I don’t remember any truth of the world stronger than my parents’ deep love for me. Despite the fact that it was unquestioned, it was frequently stated. It did not demand to be a requited love but there was no force in the world that could stop it from being just that. From cradle to this afternoon, it has only grown. It firmly held the closest thing that I had to religious certainty- that if anything in creation really could move mountains, it was the love of my parents. With that love, of course, came both great joy and sorrow. I am fortunate to say that there was much more of the former than the latter. When I can’t find empathy for another person, for whatever reason, I turn back to the love of my parents. And I assume that this person- different from me, foreign to me, even the few but frequent antagonists in my story- has that love in their life too. I think, because I must, that all these people were once held in loving arms. The parents, grandparents, and loved ones of children of color have been weeping for so long. In that image- the beloved child of color- was my greatest motivation for doing, what was at the end of the day, a task both daunting in its emotional strain and feeble in its effect in the grand scheme of things. Under-represented. Under-represented in the media. Under-represented in the classroom. Under-represented in the pulpit. Under-represented in the public square. Black culture is a culture that white people envy and thus embrace even as we too often fail to embrace its creators and sustainers. Question: Why is it that Johnny Cash can write odes to drugs and murder but Tupac should be silenced? Question: Why should Martin Luther King Jr. be silenced? Because, make no mistake about it, if the King you know does not make you profoundly uncomfortable, then he has been silenced. Here are some claims for your mis-edification: The clothes you wear lay bare your true character. As does the place you shop. As does the name you give your child (who, certainly, you hold close). End claims. More questions. Is it a race to see how quickly we can turn a victim into a perpetrator? It is a race to see how quickly we can turn black children into “no longer a minor”? Is it a race to see how quickly we can sweep centuries of history under the rug? Filing under best of intentions- “Unless you are Native American, you are an immigrant”. A sentiment aiming for progress at the expense of a muted narrative and many bodies drowned as they crossed the Atlantic. One more question, though. Almost forgot this one. Is it possible for me to wear my Cavs yellow alternate LeBron jersey and not really care about public education in the inner city? Lmk, thanks. Music! It’s still “we shall overcome SOMEDAY”. Pete Seeger, God rest his soul, did not change those lyrics. More importantly, the forty-fourth president did not change those lyrics. Nor did he conclude “A Change is Gonna Come” because yep, it came. Nope, it didn’t. To the Christians– is “Go Down Moses” in your hymnal? Is “Lift Every Voice and Sing”? To the secularists– can you still defend the humanity around the theology? Almost forgot- Jesus was an incarnation of dark pigmentation. Feel free to steal that phrase, a permission never granted to Elvis. Patriotic quote! “I love America more than any other country in this world, and, exactly for this reason, I insist on the right to criticize her perpetually.” That was James Baldwin. Did you read James Baldwin in high school? Shakespeare? Odds are on Shakespeare 100-1. Current events (as if these weren’t all current events)! Do you hear “Black Lives Matter” and toss out the words “reverse racism”? Can you name one instance of systemic racism against white people? What are you doing later? Want to watch “Gods of Egypt?” I’d like some escapism from YouTube dash cam videos. Can we #neverforget #emmett #medgar #malcolm #tamir #eric #sandra #oscar #on-and-on-and-on-and-on? I’d recommend anyone to write about privilege. It was a hugely helpful task for me. Expect backlash. But expect solidarity and gratitude as well. White friends, you can write about privilege without guilt. But you can never claim innocence by way of silence. If you don’t say a word, the weeping will continue. 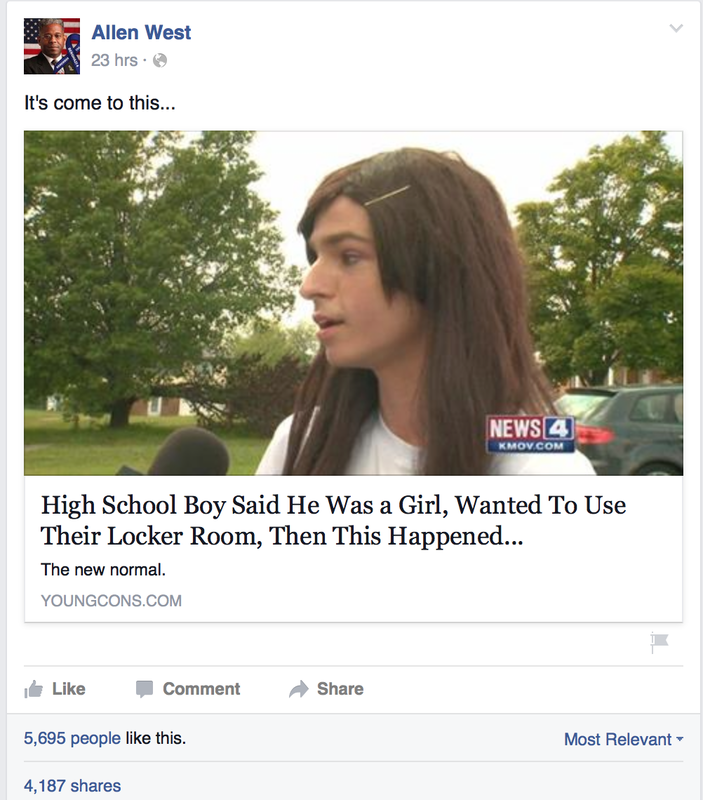 What followed was a link to a news story about a seventeen-year-old youth in Missouri who created some local waves when, during a process of searching for sexual identity, requested to use the girl’s locker room. I do know you well from FOX News. I have listened carefully to many of your opinions. Your clear stances on most social and political issues certainly clash with my own but stating this is not my purpose in writing. Despite any of our ideological differences, we should agree on one very basic thing. No one’s child should be used for political gain, to illustrate a “wrong” in the world, or to prove a point. Yet this is exactly what you did. You are a man of incredible influence and power. You have a strong voice in the public sphere. This influence, power, and voice were used, ignorantly, to degrade a vulnerable seventeen-year-old child. I have worked with hundreds of youth of all ages, first as a public school crisis counselor and now as an American Baptist minister. I am the first to admit that I have made my fair share of misjudgments and mistakes. But neither any of my dedicated colleagues nor myself ever stripped a child of their dignity. One might say that this seventeen-year-old youth sought attention, reached out to the news, and created for themselves a public identity. This public identity, one might say, comes with the consequences of public judgment. Let us reflect on that judgment. Your original Facebook post received over five thousand likes and over four thousand shares. Four thousand people propagated this thoughtlessness. One commenter posted that this youth clearly has deep psychological issues, is living in a fantasy world, and cannot accept reality. Over two thousand of your followers liked this. Someone suggested that the youth should be removed from the school. Thirteen hundred likes. Someone suggested that if this seventeen-year-old youth really wants to use the other locker room, then they should take the route of self-mutilation. Over a thousand likes. This is in no way advocacy. This is in no way a defense of American morals or human morality. This is shaming a child. And this is inviting all of us to do the same. I looked further into your background. You were a high school teacher for one year. If this youth sat in one of your classes, how would you have fostered a relationship with them? If this youth were confronted with hostility in the hallways of your school, would you have similarly encouraged it? At what point could you recognize that the health of this individual is far more important than cheap shots for votes or sound bites for compelling and likely nauseating television? At what point could you recognize that a political agenda of any stripe must be rooted in the good of our children? You are quick to invoke Martin Luther King Jr. in your website biography. How do you think a man that preached on the inherent value of all life would see the sowing of seeds of intolerance? How would you answer the theologians who rightfully insist that the morality of our society is based first and foremost on how we treat our children? How would you answer Jesus Christ who demanded that nothing stand between children and love? How convincing a defense could you make based on the statistics of “likes” on a social media website? It would be a quick conversation that would not end well. I do recognize that you have over two million “followers” and I have just over one thousand “friends”. I am under no illusion that you will see this, much less read it, much less respond. However, I will send this to the headquarters of your Foundation which, you claim, is created to raise up the “leaders of tomorrow”. I will be sending this to FOX News, to the London Center for Policy Research, to the school in Missouri, and the school board of that district. I will be sending this to innumerable newspapers in the areas where you have served as Congressman. I will do none of this for the purpose of our political differences. But the voice that degrades, shames, and hurts the youth of our nation cannot at the same time be the voice that claims to represent the American ideal. So you decided to leave without telling anyone. Looking back now, I see my own selfishness… self-centeredness. I see the arrogance of a thought that lingered in my brain (one not unique to my brain but a thought of all of us who survived what you didn’t)- that I could have done something differently. I could have been an agent of the saving change and we could be here together, still whispering over too many beers about the moment that took you to the edge of existence, but you didn’t stumble and fall and never think to return. And where are you now? The place where you can tell us who is wrong and who is right- we who defined what death would be like when our varied Lords of life meet us at the end of our painful, joyful, afflicted, blessed, long and arduous journeys. And you choked at the end, but now you can gargle through the suffocation to reveal whatever truth abides. I cry at movies now. That seems to be the lasting effect. That seems to be your legacy. It’s a simple but haunting change. Comedies and tragedies have lost their distinct division because you laughed so often. Now Bill Murray cuts me deeply. And I’m not entirely certain whether this means that I am broken or the visceral beauty of life is finally revealed. Two men walked into a bar, I suppose. And only one came out. Everything that we took from your room became an artifact. Shirts, shoes, hats, books, records, the sheets on your bed. Everything was of extreme value and we shared the goods. We keep them hidden in the bottoms of our dressers. And now we only bring them out on the date of your birthday and the date of your overdose. We only hold you for your beginning and your end. Wasn’t I a good enough reason to trudge through the muck of it all? The rest of us do it. The rest of us have chosen to see how it all plays out. The day-to-day ridiculousness then the weddings and the children and the grandchildren. Then we’ll be brave when our bodies fall apart. When our backs become hunched and our knees give out and we physically struggle to get up before the sunrise. We’ll be brave. We will defy time for as long as we can. And some of us will surrender to cancer. And some of us will lose each other and ourselves in late stages of Alzheimer’s. And some of us will wrap ourselves around a telephone pole because there was ice on the roads but we needed eggs and milk and laundry detergent. And some of us will go quietly in the night. But for Christ’s sake, we’ll all be brave. No one will publicly mourn our loss with those who loved us most and then sneak into the coatroom and call us a coward. Then warm themselves, huddled close, and press out into the winter night. Today, protests are breaking out in every major city and emboldened people are uniformly demanding acknowledgement of a fact that eluded you. Life matters. Did you know that we refuse to drive down the street where you lived? When we have important places to go and important people to see, we don’t want to be reminded of you. New people have come into our lives and we have to explain why we take the long way. They apologize to us if we do share. They assume that they crossed a sacred line. Our wives and husbands and children are strangers to you. You didn’t hold on long enough to meet them. But they utter the apologies that you’ll never give. We all have different memories of the times that we spent with you and when we compile them all together, it’s a good story. Like any great writer, some of the stories are better than the others. Some are more complete. Some have obvious morals and messages and some serve no purpose other than to prove that you once existed. You are a cautionary tale. You took a dozen pills and you died. In high school our teachers always doubted the excuses for our absence whenever a moment of challenge rolled around. We didn’t complete a report or study for an exam and so we got up early and held the thermometer next to a light bulb. If it could climb over a hundred degrees, we would be freed. There was joy in the deceit and joy in the escape. So I hope that it worked as well for you now as it did then. The rest of us are left with the hurdles of life. And we bow our heads, shrug our shoulders, and finally roll our eyes at your empty chair. Moses looks out over the Promised Land. He will never quite get there. Moses freed the Israelites, parted the Red Sea, received the Ten Commandments, and led his people through the wilderness for forty years. He will never step foot upon the ground toward which he has trudged a thousand miles. He looks out over the Promised Land. God’s gift to Moses is a glance of what is yet to come. Moses, of whom scripture claims, “Never since has there arisen a prophet in Israel like Moses.” Moses looks out from the top of the mountain down upon a landscape whose distinct markings are the fulfillment of his own dreams. So close yet so far, he breathes his last. There may not be a story from all of scripture that is more reflective of American history – our shared national history – than this: the glance of the Promised Land yet to come and the reality of our distance. Douglass, like Moses, standing upon the Mountaintop, seeing the American potential for the role of a global moral exemplar. Great potential. In many ways so close, in some ways, still so far. Dwight Eisenhower too has a say in this story, a glimpse of another American society on the other side of the Jordan. He, the General turned President, mourns the cost of war, even the necessary war. He mourns the toll taken on the body of the soldier and the toll taken on the body of the nation. Eisenhower’s words. The violence that seeps toward the borders of Canaan. The collective American Abraham wavering. Isaac is our future. Sheath the knife. Stay the terrible sacrifice. The plea from the mountaintop. 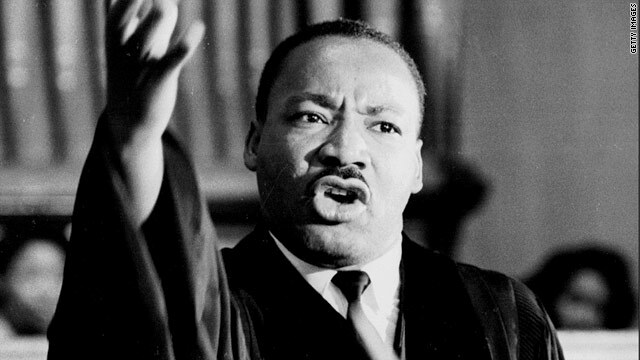 It is of vital importance that we lift up the life of Martin Luther King Jr. in the church. It is of vital importance that we lift up the life of King not just in school classrooms, community centers, or the halls of government. To not remember the legacy of King in the pews of the church does not grant King’s memory the spirited honor it deserves. More importantly, to not remember the legacy of King in the pews of the church greatly diminishes the story of the power of Christianity, the love of Christ in America, at one of its finest hours. The oft-forgotten truth about the civil rights movement and the cries for peace is that the church remained the passionately beating heart that allowed the minds of women and men to transcend a history of hate. The church remained the passionately beating heart that fortified the shoulders that bore the weight of an anxious hope for the next generation. The church remained the beating heart that pressed the arms, chest, legs forward on that long walk to freedom. Here is the pivotal point. Here is the story that is far too valuable to lose as we mistakenly secularize King’s dream. Reverend King, Reverend Abernathy, Reverend Shuttlesworth – the very beginning of a long list of the faithfully afflicted leaders – were not directed by the ideals of the American forefathers – not of those of July 4, 1776 or even January 1, 1863. These figures of history were well recognized and honored in sermons, speeches, and letters. But it wasn’t the pen of Jefferson or the oratory majesty of Lincoln that turned the tides of this chapter of history. Christ, Alpha and Omega. It was first and foremost Christ. Finally, lastly, and eternally Christ. King continually emphasized non-conformity to norms of a world tossed by anxiety and shackled by greed. He recognized the inherent dangers of non-conformity, a defining characteristic of the carpenter from Nazareth. He turned to his faith, saying, “Christianity has always insisted that the cross we bear precedes the crown we wear.” First and foremost Christ. Finally, lastly, and eternally Christ. King knew of the great dangers that faced progress, not just the robbers on the road, but the priest and the Levite that pass by the wounded sisters and brothers of the world. The closed eyes and the turned head stifle the coming of the Kingdom of God just as much as the clenched fist. “We must recognize that Jesus was nailed to the cross,” King preached, “not simply by sin but also by blindness. The men who cried, ‘Crucify him,’ were not bad men but rather blind men. The jeering mob that lined the roadside which led to Calvary was composed not of evil people but of blind people. They knew not what they did. What a tragedy!” The apathy of Good Friday. First and foremost Christ. Finally, lastly, and eternally Christ. King embraced non-violence. The Civil Rights movement turned on the axis of peaceful protest, though Bull Connor and George Wallace and anonymous men in white sheets tried time and again to crush the peaceful spirit. The demands of discipleship. Turn the other cheek. King reflected upon the scripture time and again. The demands of discipleship. Love thine enemy. King’s words, “We shall match your capacity to inflict suffering by our capacity to endure suffering. We shall meet your physical force with soul force. Do to us what you will, and will shall continue to love you.” First and foremost Christ. Finally, lastly, and eternally Christ. We Christians would do well to remember the noise from Memphis. Not just the ring of the gunfire that echoed outside the Lorraine Hotel. Not just the last heartbeat. We would do well to remember the tears of mourning, the muted breaths, the questions of what happens now, and what happens next? We would do well to remember King’s last request of his friend Ben Branch, to play the hymn, “Take My Hand, Precious Lord”, as “pretty as he could”. What does the noise from Memphis do to us? What does it do to our nerves? Our sensitivities? Our emotions? Does it cause us to duck and cover? Do we become paralyzed? Do our voices grow quiet and silent? Does the noise in Memphis stir up ancient recollections? The sounds of the stones thrown at Stephen outside Jerusalem? The click of the locks that chained Paul to his fate under his arrest in Rome? The cries, time and again, of those who chose the teachings of the church over the empty values of their culture? Of those who chose to bear the cross? Logic and reason rest here- in this frightful state. The Lorraine Hotel was a reminder of the Calvaries of old and the Calvaries yet to come. If full participation in the transcendent life of the church means full participation in a life of conflict… if the loud tenors of the prophetic voice are met with vocal or physical hostilities… isn’t it logical to resign our faith to the shelters of our homes… resign our faith to the familiar walls of the church? Sisters and brothers, we have made a mistake in our attempts to identify the threat to the modern day church. Other religions of the world? Different symbols, different prayers, different songs, different sacred words that define the meaning and purpose of their lives? Different cultures? Sometimes teaching, listening, and learning… sometimes colliding. Different names for the divine? The purple bumper stickers that encourage co-existence are often reflective of the diverse multitudes of the faithful life. On our better days we don’t simply co-exist. On our better days we all flourish. The religions of the world are not the real threat to the modern day church. What about non-belief? The scientific challenge whose figurehead is still Darwin? The religiosity of Christopher Hitchens that is ironically far more evangelical than the mainline Protestant Church? Most commonly and thus most importantly, what about the significant population that searches the world for truth and with thoughtful, faithful examination finds it nowhere within the Christian story? We can’t claim their narratives anymore than they claim our own. But God’s grace never excludes a prodigal son. The populated path of non-belief is not the real threat to the modern day church. And, perhaps most pressing to the church where we worship today, what about the numbers? The lower numbers in a projected budget and the higher numbers of unfilled pews? We know that our blessings far outnumber our shortcomings. We know that as we strive to improve the life of our church – we are improving upon a church life already tremendously vibrant. God will provide. Take a look around. The hurdles of the church’s aspirations and the church’s bottom lines are not the real threat to the modern church. The greatest threat to the modern church is our own resignation. It is our own surrender to the challenges we must face that leave a void in the public square where Christians once preached as Christ did: “As the Father has loved me, so I have loved you.” The void that we leave is quickly occupied by those who also claim Christ as Messiah, but stir up fear rather than provide comfort. The void that we leave is quickly occupied by those who also claim Christ as Messiah, but make great declarations of judgment and not celebratory promises of God’s grace. The void that we leave is quickly occupied by those who also claim Christ as Messiah, those who descend from a shameful tradition of blocking children from their schools, wrestling men from diner counters, finding with a blinded heart the darkest corner in a Birmingham church. 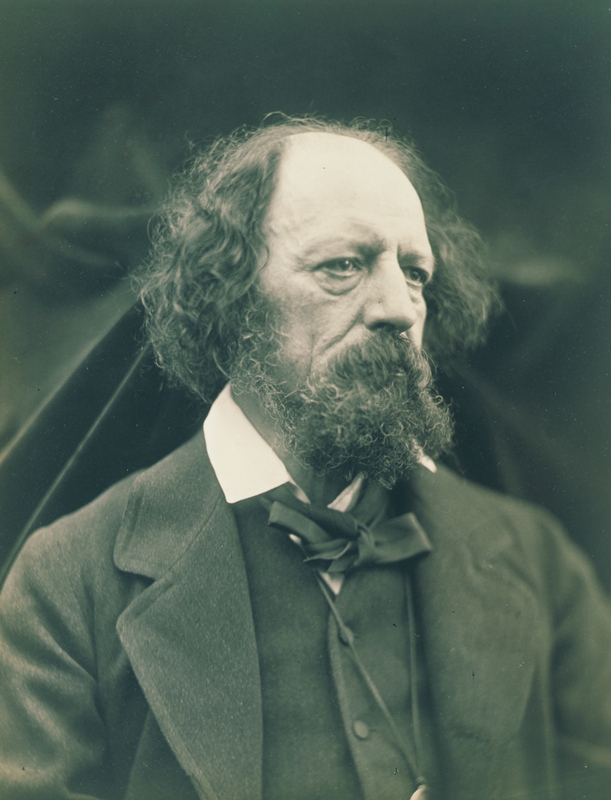 The void that we leave is quickly occupied by those who turn too quickly toward violence and away from the assured blessings of the peacemaker, the promise of the peaceable Kingdom, and the words from the lips of the Prince of Peace again and again overflowing with the words of incomparable, unconquerable love. King’s legacy calls the American Christian church to accountability. The noise from Memphis must not call to order a continual time of silence. The noise from Memphis, decades down the road, must still serve as a rallying cry to those who claim the Christian church and the Christian God as “home”. We are not just members of the body of Christ. We are vital organs of the body of Christ. We are weary yet tireless seekers of justice. We are, each of us, testimonies to God’s radical love…a radical love that defied hate – a radical love that conquered death. Moses stood atop the mountain and looked out toward the Promised Land. From the Colorado peak, the American Christian does the same. From the banks of the Ohio River, the American Christian does the same. From the New York skyscraper, the American Christian does the time. From the balcony of the Lorraine Hotel. From Birmingham, Waco, Laramie, Oakland, Columbine, Sanford, Ferguson, Oklahoma City, Newtown – King’s dream, Christ’s promise, God’s kingdom rests distantly but firmly fixed on the horizon. The compass that points towards mercy, justice, and love, points toward the end of this journey of generations. There the weary pilgrims may rest in the everlasting arms, and collectively sing the first words that were King’s public last – “Mine eyes have seen the glory of the coming of the Lord.” Amen. His name was Eddie, and he was a regular at the Primo Diner. Using his palm, he was hitting the outside of the window right next to the swinging doors. They were locked. The diner opened at six but he wanted to come in and eat at five-thirty. It was strange, Belle thought, that the regulars felt that they deserved the special privilege of an early breakfast. The regulars, she figured, should know the rules better than anyone. Still, she opened the door and he sat down at the counter. The usual. He didn’t have to ask. She took the batter from the small refrigerator under the coffee machines, poured it into two of the three waffle makers, and broke an egg on the heated stovetop. It’s what he always wanted. Two waffles and a fried egg on top. She let the food sit and offered him coffee and his other strange request, a glass of juice half-orange and half-cranberry. She poured the orange in first and then the cranberry. The pulp of the orange juice floated to the top. The color of the cranberry sank down so that the mixture was the same hue as the lowest line of a sunrise. Belle didn’t normally cook the food. She spent her time refilling mugs and asking the patrons about their jobs, families, and opinions on recent political events. She wooed them for large tips that she would then split fifty-fifty with Kostas, the Greek who manned the stove. Kostas was also the son of the owner. He wasn’t in yet. He wouldn’t be in for another fifteen minutes. “I have to tell you something, Belle.” His fingers were shaking. He hadn’t removed his coat. Small flakes of snow were falling outside and had left little, dark specks of water across his shoulders. “What’s that?” She turned to look at the egg. Just needed another minute. Eddie never spoke large. He never claimed, as many patrons did, to have any special expertise on the events of the world, the strange inner workings of the human brain, or the lessons that we as Americans should all know by now. He never quoted anyone- poets or philosophers or politicians- but he only spoke for himself as he drank the strange concoction. His experience, his story, rarely left Lansford. He went to San Francisco once as a child, but that was the city on the Bay as it ran in the twenties. He didn’t know what it was like anymore. But Puerto Ricans moved into his neighborhood. Some of them sat outside an old candy store and played dominoes, speaking and laughing in their native tongue. They offered to teach him the game. He didn’t take them up on it. There was a new minister at the Methodist church where he rarely attended. He made him feel guilty for not putting more money in the plate. He bought three new shirts yesterday. The one he was wearing was the one he liked the most. Did she like it? He asked her. She nodded. He never spoke large. Where he had been that morning, where he was going that afternoon, what he planned for tomorrow. That was as far as his conversations went. He wasn’t the dull man. The dull man droned on and on about boxing results and entertainment shows. Eddie wasn’t the dull man. Just the ordinary one. “I think the egg is done,” he said. He was right. She took it off the griddle and slid it onto a small plate. The waffles would be done in another minute or two. She smiled at the small reassurance. He smiled back, removed his coat, and dropped it onto the next stool over. She flipped open the waffle makers and turned her eyes from the heat. She took a spatula and a fork and carefully pulled them from the metal. She dropped them onto a large plate. Then she picked up the plate with the egg and slid the dripping food on top. She placed the special meal in front of him, took a bottle of maple syrup that sat next to the soda machine, and winked. He doused the egg in syrup and let it pour over and down the waffles. Then he took a knife and fork to the edge of it, put it in his mouth, and smiled as he let it melt between his back teeth. “I almost jumped in front of the train this morning.” He put the fork back down and wiped his lips with a napkin. The thing was, Belle quickly noticed, was that he hardly looked fazed. He just stuffed the waffle into his mouth and rinsed it down with long sips of heavily creamed coffee. He was treating this morning like any other, except for the fact that this morning nearly never happened for the man. “Why?” Belle didn’t feel worry. She didn’t feel sadness. He didn’t seem to feel either one, and she could only act out of empathy. The situation was too strange to know any other right way to respond. “Wow,” Belle said. Surprise. He didn’t seem to be expecting anything else. Belle looked at him. She looked at the rings under his chin as he chewed. Satisfying himself. She didn’t think of her own life as being so trivial. Just catching the train on the way to Kansas City. He chewed the waffle and took a long sip of the coffee. He kept the food in his mouth. He puffed out his cheeks. He looked foolish and no other man would look as uniquely foolish as him. He put the coffee down for a long drink of his strange elixir. The mix of cranberry and orange. No one else ever ordered it. He belched and excused the offense. A passive, insignificant apology, but one that only he could offer in that high tenor and scratchy voice. He was broke and Algeria exploded and who would miss him anyway? Kostas entered the diner. He made a comment about the cold and patted Eddie on the back as he slid behind the counter and took up his post. “You’re right about that,” Eddie replied to the Greek. “I can’t take you serious,” Belle said to the man at the counter. Kostas turned to look at her. An odd comment. He tried to read the tone of the conversation. “What’s that mean?” The waitress untied her apron. She noticed that her stomach tightened. “Sounds like a compliment,” Kostas interrupted. An hour later Eddie paid and was out the door. By that point the counter was full and all but one of the booths and two of the tables had filled up as well. Lucy, the other waitress, hadn’t shown up. She hadn’t called in sick either. She likely slept in. She did it a number of times before. Kostas was backed up on the orders. He was cursing in Greek. Belle hustled back and forth between tables. She bumped her knee against a man who pushed his chair back into her path. She felt her ankles twist as she carried a hot tray of omelets, spinning around the busy Kostas. Then at four o’clock, with Lucy only working an hour and a half, she put her apron under the counter, took her share of tips, washed her hands, and stepped out the door. “Hey!” Kostas called out from behind her. She walked a half block before she realized that she forgot the coat that the cook was waving in the air. “Thanks sweetheart,” she said, and wrapped it around her, feeling the heat that it absorbed from sitting next to the toasters, the place where she always left it in the winter. Kostas curled up his nose and nodded before turning around and going back inside. He didn’t understand the purpose of the promise. But neither did she. She had her routine, if nothing else. And she had her cat. And she had her older brother, a farmer out in California. And the war in Algeria had to end someday soon.